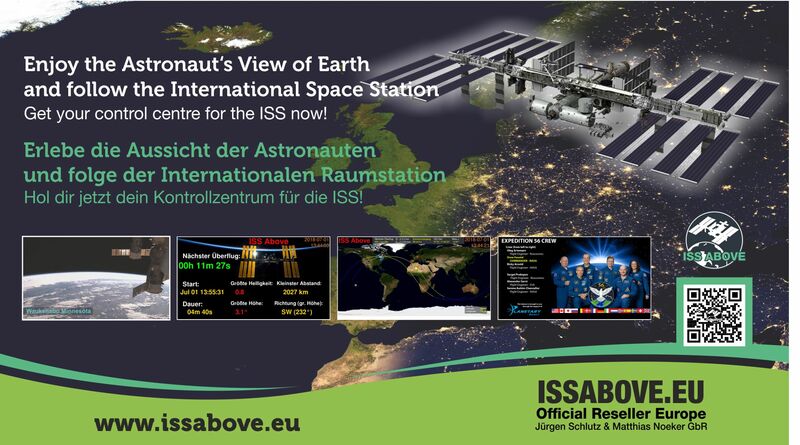 Welcome to the European online shop for the ISS-ABOVE, your personal control centre for the ISS. 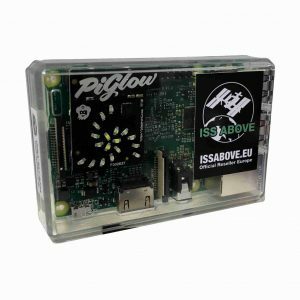 We are the official reseller of the ISS-ABOVE in Europe, our Units are fully assembled in Europe and will be sent from Germany to limit shipping cost to a minimum. 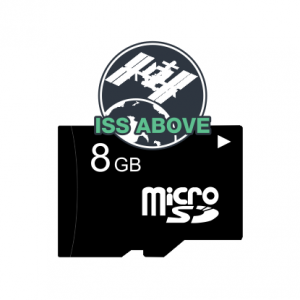 The ISS-ABOVE brings live HD video from the ISS to your own screen, together with lots of information about the current position, visibility and crew of the ISS. This allows you to follow the missions of the astronauts live and to share the fascination of spaceflight. Take the astronauts’ view of Earth to your TV, to public screens in the company lobby, social spaces or waiting areas, or to your kid’s school. Here you find all the details about the ISS-ABOVE. 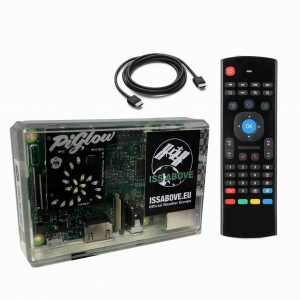 If you want to start right away, then follow this link directy to the shop to order your personal control centre for the International Space Station and all related Equipment. 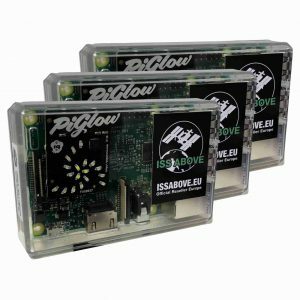 We are planning to extend our offer with further cool space stuff and recommendations in future.